Decision Science News will return to the city of its birth for this year’s Association for Consumer Research (ACR) conference. Will you? 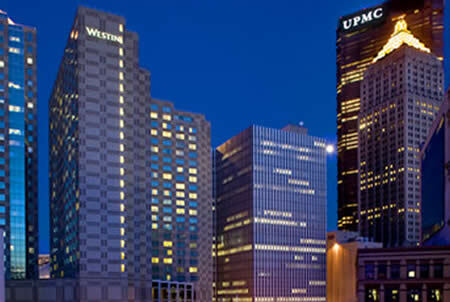 The 2009 North American Conference of the Association for Consumer Research will be held at the Westin Hotel in Pittsburgh, PA from Thursday, October 22 through Sunday, October 25, 2009. The theme of ACR 2009 is “A World of Knowledge At the Point of Confluence.” Consumer researchers from around the world will meet in the City at the Point, where the Allegheny and the Monongahela rivers flow together to form the Ohio River. International consumer researchers will gather in Pittsburgh to share the ideas and data that converge to create knowledge. The conference format will follow that of past years. A pre-conference Doctoral Symposium will be held Thursday (co-chaired by Stacy Wood and Dave Wooten). Thursday evening will feature an opening reception for ACR 2009. The conference program on Friday and Saturday will include Competitive Paper sessions, Special sessions, Roundtable discussions, Working Paper sessions, and the Film Festival. A Gala Reception will be held Saturday evening at the Senator Heinz History Center, just two blocks from the Westin. ACR 2009 will provide a confluence of consumer researchers for scholarly presentations, discussions, networking and collaborations. The conference will open with a reception on Thursday evening (after the Doctoral Symposium). Sessions will be held on Friday and Saturday. There are five types of submission for ACR 2009. 1) Competitive Papers represent the completed original work of their authors. The ACR conference co-chairs assign papers to sessions that reflect similar scholarly interests. 2) Special Sessions provide opportunities for focused attention on emerging areas of research. Successful sessions drill deeply into a specific issue using similar theoretical or methodological bases, or they promote a confluence of paradigms, methodologies, or research orientations. 3) Films at the Film Festival sessions provide video insight into consumer topics. 4) Working Papers present preliminary findings from the early stages of a research project. Authors distribute their papers, display posters of their research, and are available to discuss and answer questions during the assigned Working Paper session. 5) Roundtables encourage intensive participant discussion of emerging consumer research topics. All submissions (for competitive papers, special sessions, working papers, roundtables, and films) must be received by Monday, March 23, 2009 by 5:00 pm Pittsburgh time (EST). In order to maintain accessibility, please note that each ACR participant may present only twice in Special and/or Competitive paper sessions during the conference. When uploading a submission, authors will need to specify the paper presenter. Notification of acceptance will be made by Friday, July 24, 2009. Final acceptances will be conditional upon receipt of revised documents and copyright release. All submission activity (submissions, reviews and notifications) for ACR 2009 will be electronic, through the conference website at http://www.acrweb.org/acr/. – Click on the “Sign up” tab at the top right of the page. – Provide your information (name, email address, etc.) (Note: this does NOT register you for the conference; details for conference registration will be sent out in July 2009). – To submit the information, click on the “Log in” button and then choose “Submitting Author” as your role. You will need your email ID and the password that you created for your user profile. – Click on the “Submit paper/proposal” button. • Content Area Codes and Methodological Area Codes (These are critical for assigning reviewers – please pick codes that provide the best match to your work). Note: All authors need to ensure that their names appear in the same way in all submissions. This is because the database will consider J. Jeffrey Inman, John Jeffrey Inman, and Jeff Inman as three different authors. Time limit. Please note that the website will time you out after 60 minutes. Therefore, in order to avoid losing information, it is best to copy and paste your information into submission fields rather than composing it online. ACR 2009 Pittsburgh Oct 22-25 was written on March 16, 2009 and filed in Conferences,SJDM.